Cathal Ó Dochartaigh, who has died at the age of 72, was emeritus Professor of Celtic at the University of Glasgow. Cathair Niall Ó Dochartaigh, known to friends and colleagues as Cathal, was born in Derry on 4 December 1942. At the age of 3 his family moved to Belfast, where Cathal attended St Joseph’s Public Elementary School (1947-53) and St Malachy’s College (1953-60) before entering Queen’s University Belfast in 1960, graduating with a BA in Celtic Studies in July 1965. He took a year’s study leave in 1963-64 to learn Scottish Gaelic and Welsh, spending four months in South Uist, Barra and Eriskay, where he collected folklore and dialect material (also working in the hotel bar in Eriskay), and several months in Aberystwyth. As a student at Queen’s Cathal studied under the famous Swiss Celticist and linguist, Professor Heinrich Wagner. He gained further qualifications in General Linguistics (1966) and Phonetics (1967) at the University of Edinburgh, and was employed as Assistant Lecturer with the Linguistic Survey of Scotland, working on both Scots and Scottish Gaelic (1966-69). In 1972, funded in part by the Ministry of Education in Northern Ireland, he completed a postgraduate MA thesis at Queen’s on the phonology of Ros Guill Irish, a dialect he had begun studying while he was still at Secondary School. Cathal met his wife Jane (née Sykes) in 1969 in Edinburgh University Library where she then worked. The intermediary was Sean Phillips, who was later to be librarian at University College Dublin. Sean and Cathal had been friends since their teens, learning Irish in the Donegal Gaeltacht and later as students at Queen’s. Jane and Cathal married on 6 September 1971. A younger contemporary of Cathal’s at Queen’s, Professor Séamus Mac Mathúna, who was editor of An Cumann Gaelach’s magazine, An Scáthán, recalls a piece written by Cathal for the December 1964 edition under the pen-name ‘Lafayette’. It had the title ‘Aux Barricades’, in which he criticised the government for its weak policies in relation to the promotion of Irish and in which he strongly encouraged readers to demand their linguistic rights as citizens. 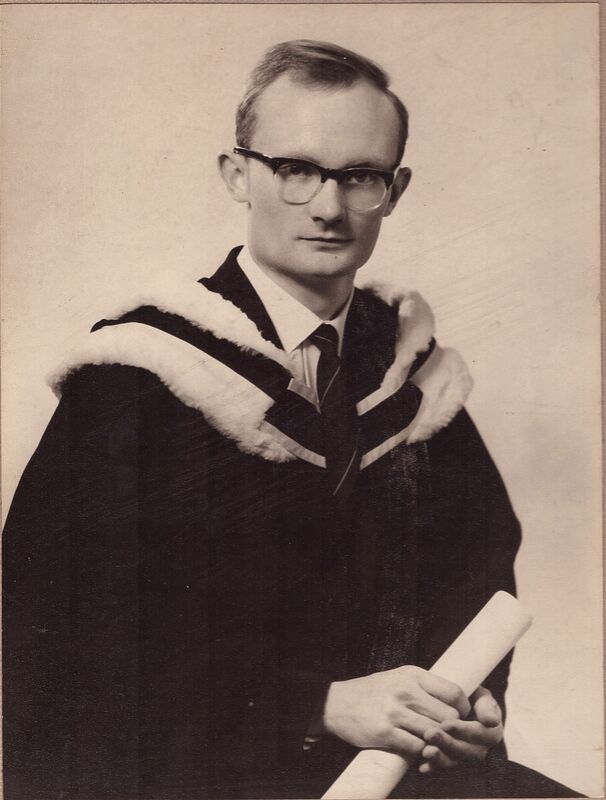 In 1969 Cathal was appointed to a lectureship in Celtic in the University of Aberdeen, where he worked with fellow Gaelic linguists, Donald MacAulay and Colm Ó Baoill, who had been his friend since undergraduate days in Belfast. The family moved to the Esslemont Station House near Ellon, in what was to become a memorable homestead, growing vegetables and keeping hens, geese and ducks. Ten years later he was awarded a PhD by the University of Aberdeen on the basis of his doctoral thesis on ‘Dialect Differentiation in the Irish of Ulster’. Cathal left Aberdeen in 1982 to become Director of Institiúid Teangeolaíochta Éireann / The Linguistics Institute of Ireland in Dublin (1983-84), resigning due to what he perceived to be insufficient resourcing of the Institute and for family reasons. The family moved to Bangor, North Wales in 1984 and between the years 1984-96, Cathal was a freelance academic computer and Celtic languages consultant. He was keen to enhance and extend his interests in the computer-assisted processing of language materials and to improve his knowledge of Welsh. He worked on a Welsh language spellchecker, CySill, and a computerised dictionary, CysGair, at the University of North Wales in Bangor. He collaborated with Patrick Mulreany of Nevada, USA, to produce a digitised version of Ó Dónaill’s Irish-English dictionary. 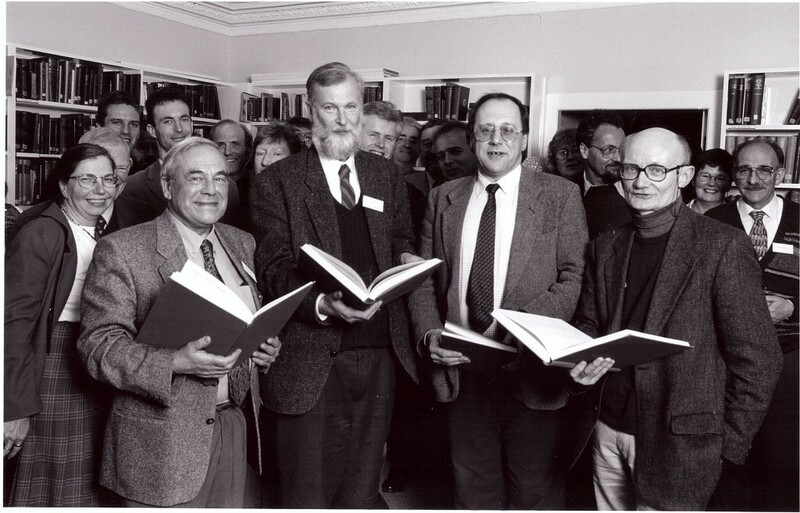 Picture showing Professor Ó Dochartaigh at the launch of the Survey of the Gaelic Dialects of Scotland at the Teangeolíocht na Gaeilge conference at the University of Edinburgh, 17 April 1999. Those pictured (front) with Professor Ó Dochartaigh include Anthony Dilworth, Professor Fergus Kelly, Professor William Gillies (left) and Professor Donald Macaulay, standing behind him (right). Cathal was appointed to the Chair of Celtic at the University of Glasgow in 1996, a position he occupied until his early retirement in 2004. During his tenureship he laid the foundation stones for today’s highly successful department of Celtic and Gaelic. He was a moderniser with vision. He played his part in pioneering closer collaborative links between Scotland’s Celtic departments by opening up the Historical Dictionary of Scottish Gaelic archive (see now www.dasg.ac.uk) to the inter-university historical dictionary project, Faclair na Gàidhlig (http://www.faclair.ac.uk). One of the hallmarks of Cathal’s academic outputs was his theoretical approach to the Gaelic languages. 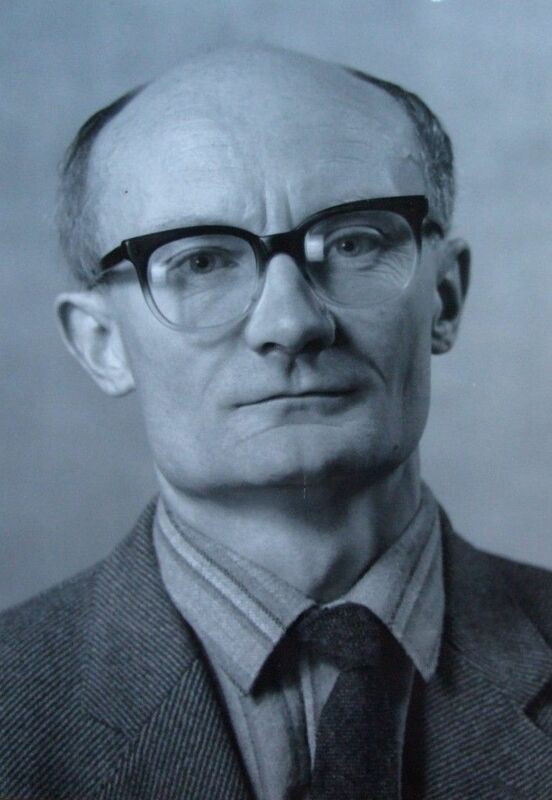 This culminated in his impressive 1987 monograph, Dialects of Ulster Irish, a rewritten and expanded version of his PhD thesis, representing the first major quantitative study of Gaelic dialects based on the phonetically rich materials in Wagner’s monumental Linguistic Atlas and Survey of Irish Dialects, published between 1958-69. He also made lasting contributions to Gaelic lexicology and world geography. His work was not confined to linguistics. He published an edition with detailed commentary of an early eighteenth-century Rathlin catechism in Irish. The publication of the study of Trí Rainn agus Amhrán (TRAA), a verse form popular in the Irish literary tradition between c. 1670 and 1860, gives us a good picture of Cathal’s tenacity in the face of complications. In the late 1970s he suggested to Colm Ó Baoill, by now his colleague in Aberdeen, that they should get together to make a serious study of TRAA, and he at once applied to funding bodies and got £1,000 for travel expenses. They then travelled all over these islands during university vacations, noting about 300 examples of TRAA in academic libraries. By the time the collection and editing were complete, Cathal had left Aberdeen, but he still got to work to find a publisher. This turned out to be difficult: three different publishers expressed interest, but when the academic nature of the book became clear and they learned that it was to be entirely in Irish, they changed their minds. But Cathal was determined not to give up, and eventually the Lagan Press in Belfast published the poems in 1996, but with only minimal apparatus and comment. As his essay ‘Idir Dhá Thír [‘Between Two Countries’]: Donegal Emigrants in Glasgow’ shows, Cathal was deeply interested in the Irish diaspora in Scotland and the United States. He had connections with Irish speakers in the south-side of Glasgow and in Edinburgh, one of whom was an informant for his 1972 MA thesis on Ros Guill. He was particularly adept at identifying Donegal Irish speakers in Scotland, which included a janitor working at the University of Glasgow. Along with his daughter Brighid, he took particular delight in discovering that he was the great grandson of a certain Bridget from Inishowen who had emigrated to Boston, travelling there with some of her children via Glasgow, perhaps in the steamship Furnessia, in the latter half of the nineteenth century. Cathal was an academic and a deep thinker whose voracious mind delighted in culture, sociology and politics as well as language and literature. His interests were catholic. He was fluent in Irish and Welsh, and had also learnt Scottish Gaelic and some French, German, Swedish, Portuguese and Russian. There was much of the genius about Cathal, who was also extraordinarily practical in his interests and skills. He took Open University courses in Maths & Computing in the 1970s and developed interests in computer programming. He had an HNC in Electrical and Electronic Engineering from Aberdeen Technical College, which enabled him to rewire his own house safely in Wales. He had a qualification in Navigation from Robert Gordon’s Institute of Technology, had a part share in a 30-foot boat in Bangor and also owned a yellow sailing dinghy which he sailed on lakes in North Wales. He accompanied Mountain Rescue teams on training exercises during his time at Aberdeen. He always aimed high. Not content to have an ordinary driving licence, Cathal went on to obtain qualifications as an advanced driver, which occasionally came in useful when friends were late for a ferry. He relished good company. He loved cooking and enjoyed good quality red wine and folk music. Many have fond memories of him standing in his own kitchen or that of others, cooking, enjoying a glass of wine and enjoying the craic over a broad range of topics. He never stopped pursuing new skills and experiences, learning to swim in his late 30s. He grew his own vegetables and became a ‘tattie roguer’ at the North of Scotland Agricultural College in the 1970s, regularly working in the potato fields of Aberdeenshire as many generations of people from northern Ireland had done before him. The unconventional and forward-looking aspect of Cathal’s approach to work can be seen through his suggestion that the University of Glasgow should appoint him on three-year rolling contracts tied to specific targets and performance measures. That was a highly unusual suggestion at the time for academia, though this approach of measurable performance targets is the norm nowadays. His approach to academic leadership was unique—he treated junior colleagues as equals, and they ‘grew up’ fast under his regime, in the best sense. He could see the way round problems in distinctive ways. One of his many dictums, valuable to a small department in a minority subject, was that ‘you must never be seen to be a problem to those in charge; always come up with solutions for them.’ It is a dictum his colleagues and successors have tried to emulate since. In 2002, as he approached the age of 60, Cathal began to show signs of what turned out to be dementia, which was diagnosed in 2005. 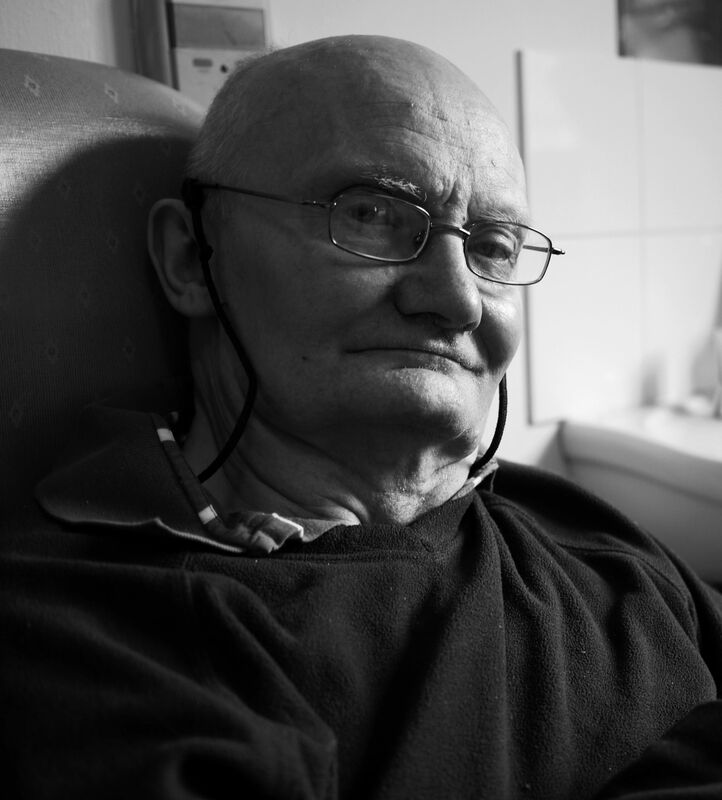 Jane cared for him at their home in Hyndland for over two years until he became too ill at which point he moved to Ashgill Care Home in Glasgow in 2007, where staff looked after him lovingly and treated him with the dignity he deserved right up to the end. The cruel and debilitating disease which afflicted him at the height of his intellectual powers cut him off from family, friends and colleagues, robbing him of the faculties of speech and laughter and intellectual enquiry, although occasionally a chuckle and smile would break forth unexpectedly when something amusing had caught his attention. He retained his penetrating blue smiling eyes almost to the end. He died peacefully on 14 February, on the Feast of St Valentine, at the age of 72, shortly after what was to be Jane’s last visit. He is survived by his wife, Jane, his daughter and sons, Brighid, Domhnall and Ruairí, and his grandchildren Evan and Lucy. Irrespective of his many esteemed achievements, what mattered most to him was his loving family of which he was immensely proud. Suaimhneas síoraí go raibh aige. Cathal Ó Dochartaigh, Gaelic linguist, born 4 December 1942; died 14 February 2015. Ann am meadhan na seirbhis. In the middle of the service. Bidh moran air feadh na Gaidhealtachd ag ionndrainn Cathal coir, fior Cheilteach a chuir gu mor ri sgoilearachd ar canain ‘s ar cultair – bha Gaidhlig na h-Alba fortanach gu dearbh gun tainig e gu Oilthigh Ghlaschu. Choinnich mi ris an toiseachd ann a Baile Ath Cliath aig colabhairt ann a 1991 ‘s sa bhad bha blaths chridheal eadar Eirinneach ‘s Ileach. Deagh chuimhneachan air duine coibhneil, gasda. moran taing airson seo, a ‘Domhall. I had the pleasure if knowing Cathal and his family in Bangor. I am now a fluent Ghaidhlig speaker, tho not writer and live in North Uist half time. Sleep in peace, busy man . So sorry to hear of Cathal’s death. I had the great pleasure to study under him at Glasgow from 1997 – 2002. He was a fierce intellect and always generous with his time and with an enthusiasm for his subject which couldn’t help but inspire his students. Thank you Professor. Rest in peace. Lovely poem. Suaimhneas síoraí don ‘duine beag sradagach’. In my undergrad class at QUB and everywhere else afterwards . Kindly remembered always. Níor bhuail mé riamh leis an bhfear seo, fiú nior chuala me riambh faoi. Is trua an galar mheoin a luighe air ag deireadh a shaoil ach is iontach an táirge, an léireachán, a bhronnaigh sé ós comhair an tsaoil. Goileann sé orm nuair a chím Gael ag imtheacht as an tsaol nuair is óige é ná mise. Is trua gear gur theastaigh sé. Truly sorry to hear about Professor O’Dochertaigh’s passing. I have very fond memories of my time studying in the Celtic department between 1997 and 2001. He was never afraid to be controversial, which spurred the most interesting discussions during tutorials. He was generous with his time and didn’t treat us undergrads as intellectually inferior, even though his intellect was rather intimidating! I hope I can be half the teacher he was. Lovely words from the dept too. Rest in peace, Professor.